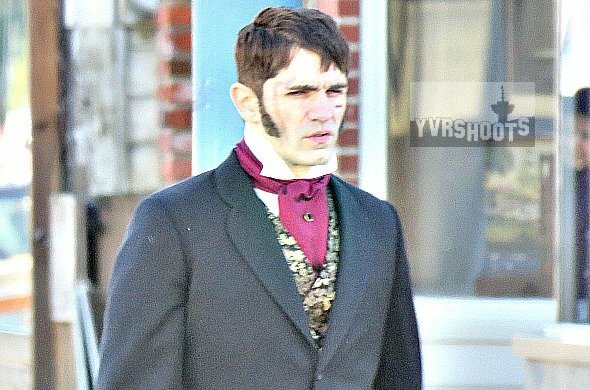 Sam Witwer, the voice of Darth Maul and Emperor Palpatine is going to appear in a few episodes of Once Upon a Time. I've watched some episodes of Clone Wars and Rebels especially does featuring Vader.I really loved the scenes between him and Ashoka in the season finale.When he said "Anakin Skywalker was weak.I destroyed him"and you remember that years later his grandson will say the same thing about himself it really makes you realize how history repeats itself. There were also rumors about Thrawn appearing next season which would be really cool. It makes me wonder though could Ezra be the founder of the Knights of Ren?It looks like he might be going Dark in the future. @CienaRee wrote: I've watched some episodes of Clone Wars and Rebels especially does featuring Vader.I really loved the scenes between him and Ashoka in the season finale.When he said "Anakin Skywalker was weak.I destroyed him"and you remember that years later his grandson will say the same thing about himself it really makes you realize how history repeats itself. I was really moved when Vader said those lines to Ahsoka... and I also felt he was conflicted for a few seconds when the mask broke and he called out to her....but then it was gone.... Is Ahsoka dead or alive? I like to think she is still alive and we might see her pop up in in the ST, even if briefly. Am keeping my fingers crossed over Admiral Thrawn making an appearance....that would be amazing! Lando will be also be returning for season3. Ezra is definitely going to be tempted by the dark side (wonder whose voice was in the holocron- Darth Traya? )...but another thing that intrigued me is how they showed Kanan wearing that mask when he was blinded, and also using a red and blue lightsaber when fighting the temple guard in his vision...maybe he also linked to founding the knights of ren? There is a wild rumor that Donnie Yen is playing Kanan in Rogue One....but I think he might be playing an Echani (imperial martial arts technique) or Teras Kasi (steel hands) master. Love love love the mortis trilogy...... I hope it is brought up in the ST in some capacity...maybe Luke was researching it? Or it is linked to what Kylo wants to finish for his grandfather? Totally agree..I have a thing for cartoons apparently I love Mortis so much that I will have that symbol tattooed on my body...just haven't figured out where exactly....I have very high hopes for Luke for this trilogy...It would make perfect sense for him to research such an ancient postulates in the location of the First Jedi Temple, don't you think? Also..accept my friendship request already, young lady!!!! Love cartoons....am a big anime fan as well.....though to be fair, I haven't seen all the episodes of clone wars yet....I'm planning to do a marathon viewing next week. I loved The Clone Wars, Ahsoka and Rex are my favorite Star Wars characters period (I love Rexsoka too). And then you have the clones, my babes, with them regaining their lost humanity and becoming more than battle fodder-real men. Rebels is... Okay. I think my lack of enthusiasm is to be blamed on how much I am just over Kanan at this point. All the other characters are fine, just let them do what they do without so much Kanan. I will probably still watch since my captain Rex is still on the show. I'm a Clone Wars fan. I like the characters, I like it that is has so many female characters, how the clones are complicated, the villains are complex. I think it's awesome. Rebels, just a little. I saw the final. I thought it was okay. Perhaps it wasn't super interested cause I'm not invested in the characters. @Force22 wrote: I'm a Clone Wars fan. I like the characters, I like it that is has so many female characters, how the clones are complicated, the villains are complex. I think it's awesome. With Rebels it is hard to get invested in most of the characters because the whole show is about Kanan and Ezra. Everyone else takes a back seat to them- it's really blatant with Hera and Sabine. We hardly know anything about them and they have no character arcs to speak of while Kanan has a whole backstory fleshed out, has gone from a runaway padawan to a Jedi knight, has made peace with the clones, has accepted being part of the rebellion, has trained Ezra, etc. It's why I was kinda hoping Maul would have done him in so that the others could step out from behind his shadow. That's a pity. TCW went in so many different directions with different characters. Lots of different characters got their own arcs, their own stories. I noticed this problem in the finale. Okay, Maul was there, but it was totally self contained. Compare that with Maul in TCW, and the whole arc with the Mandalorians. Maul appeared in Rebels but had no backstory, no plot. I tried to watch rebels. Thought it was funny. Liked Kannan and Ezra but didn't feel the group chemistry. Also just didn't have the patience. Watched episode 1 of season 1 and then skipped to the new finale lol. I'm not really feeling it because I just have this OCD thing that I won't get into. But I will say that I really liked the whole sith temple thing. It was very interesting. I really, really want very cool jedi lore stuff happening in the new movies. @rey09 wrote: I tried to watch rebels. Thought it was funny. Liked Kannan and Ezra but didn't feel the group chemistry. Also just didn't have the patience. Watched episode 1 of season 1 and then skipped to the new finale lol. I'm not really feeling it because I just have this OCD thing that I won't get into. But I will say that I really liked the whole sith temple thing. It was very interesting. I really, really want very cool jedi lore stuff happening in the new movies. Yes, I also really liked the sith temple thing, and even thought it would be awesome to have more of that stuff in the movies! Kansan seems like a poor man's Qui-Gon to me. That said, I really like Rebels, and the most recent episode was awesome. Also, I hope Ahsoka is still alive. Purple Ren wrote: Also, I hope Ahsoka is still alive. No doubt about it. It's common law that unless you see them die on screen, they're still alive. That reminds me of the rule pertaining to holothrillers in Star Wars EU.... unless you see the dead body, the character isn't dead. I also read that Ashley Eckstein wore a T-shirt depicting Ahsoka walking into the temple entrance.....somehow I think she is still alive and might re-surface in a comic book or we'll find out what happened to her in one of the anthology films probably. Does anyone feel that if Vader has not killed Ahsoka, it diminishes the impact of his redemption through saving Luke? 1. Why does the Phantom Menace not look menacing anymore? He looks almost cute (and way too young!) with that face. And don't say it's because of the animations, I got chills after Ahsoka cut Vader's mask into pieces and he gave her that yellow-eyed-stare. 2. Why didn't they come up with an escape route for the Inquisitors other than flying off by spinning their lightsabers? What next, are they going to ride them through open space? Will Rey fly away from trouble in VIII by spinning her saberstaff too? I laughed way too hard at that scene. @panki wrote: Does anyone feel that if Vader has not killed Ahsoka, it diminishes the impact of his redemption through saving Luke? Maybe - but maybe Ahsoka just manages to escape from Vader at some point? Lol....I hated the saber-copters.....they looked out of place and strange....I know SW has strange lightsabers but this was too weird....possibly so they can promote flying lightsaber toys....and speaking of toys....I feel Maul's new look also seems like it was meant tomake him more child-friendly in appearance for merchandise. @panki wrote: That reminds me of the rule pertaining to holothrillers in Star Wars EU.... unless you see the dead body, the character isn't dead. Yeah, they have this behind the scenes thing they do, and she was wearing it on that. I'm guessing the energy explosion is what caused the end of the duel. I don't think letting Ahsoka live cheapens Vader in any way. Though she is not blood relation like Luke, she's actually probably closer to being Anakin's child than Luke and Leia, based on the time he spent with her (and we know Anakin is terrible at letting go.) It would make sense that Ahsoka could reach Anakin, even if for just a moment. I don't mean Vader is cheapened as much as he alrwady must be aware he has light in him if he spared Ahsoka....was this the begining of a redemption path for him albeit a slow one)? I wonder where we'll see Ahsoka next....possible in one of the anthology movies? Purple Ren wrote: I don't think letting Ahsoka live cheapens Vader in any way. Though she is not blood relation like Luke, she's actually probably closer to being Anakin's child than Luke and Leia, based on the time he spent with her (and we know Anakin is terrible at letting go.) It would make sense that Ahsoka could reach Anakin, even if for just a moment. I'd still be happier with a Ahsoka-manages-an-epic-escape-story. Obi-wan and Anakin were pretty close too, but that didn't make Vader spare him. @panki wrote: I wonder where we'll see Ahsoka next....possible in one of the anthology movies? Tough question. I could imagine her to make a return much sooner, like, in the beginning of the 3rd season of Rebels. 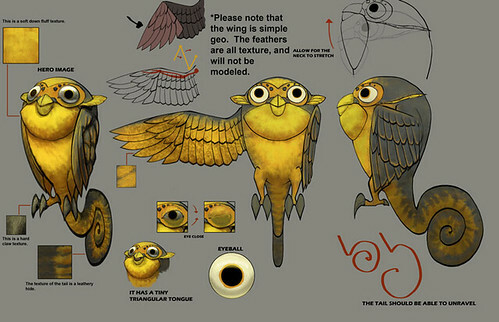 Did anyone else notice the cute owl creatures that landed up in the final two episodes of Star Wars Rebels, season 2? I did a little research about them and found they are called Convor (plural: Convorees) and are named after David Filoni's wife Anne Convery. The are native to the planets Atollon, Malachor and the moon of Wasskah. I notice they seem to appear a lot in Ahsoka's story lines. They first appeared in the Clone Wars when Ahsoka got kidnapped by the Trandoshans. In Star Wars Rebels (the Mystery of Chopper Base), Ezra notices one when he is lying on the ground and the Imperial March starts playing....then Ahsoka appears. The same Convor is seen flying away on the planet Malachor after the confrontation between Vader and Ahsoka....where Vader leaves and Ahsoka appears to go deeper into the temple. 1. The bird is an avatar of the Daughter from the Mortis Trilogy....the Mortis trilogy is a shared force vision of Anakin, Obi-wan and Ahsoka....in the end, the daughter gives the last of her life energy to save Ahsoka. The Convor seems to appear when Ahsoka is around....and it's colour scheme is very similar to that of the Daughter and the Daughter's avatar. I love the idea of it being an avatar! I would tell you, though, that it is absolutely not an avatar of the Dark Side. Absolutely not. But, you know, we’ll have to see. You’re going down the rabbit hole now. You know me by now – it’s not accidental that this thing is flying around. It’s not accidental that it’s there, and it’s not accidental that it’s bizarrely on this completely different world at the end of that episode. It definitely has a meaning for me, as the storyteller. It’s a subtle thing that if you know what the owl represents, then it deepens the lore of the whole thing and you go, “Okay, there are things at work here that are beyond our reckoning.” In some ways, I could say that it’s a messenger, it’s an observer. It is definitely something. And I would suggest – I would rather have fans debate – but I would suggest to say that whatever that thing is an avatar of has actually appeared in the animated Star Wars universe before. So decrypt from there… Have a fun summer! 2. The Convor is linked to the shapes shifting Force Priestesses (Serenity, Anger, Confusion, Joy and Sadness) from the Force Planet which Yoda visits during the Clone Wars on the instructions of Qui Gon Jinn....where he undergoes trials and learns how to become a force ghost after death. 3. The Convor is a witness for the Shaman of the Whills (belonging to the Ancient Order of the Whills), an etheral being who told Qui Gon Jinn about the art of retaining consciousness after death (but he couldn't complete this process) and he in turn taught it to Yoda and Obi-wan. Sith cannot master this art because compassion is required to achieve this eternal state.